During the First World War rumours began to spread that Germany was building corpse factories. For example, Cynthia Asquith wrote in her diary on 16th June, 1915: "Quite a pleasant dinner. We discussed the rumour that the Germans utilise even their corpses by converting them into glycerine with the by-product of soap. I suggested that Haldane should offer his vast body as raw material to Lloyd George." These rumours died out until the story reappeared in the North China Herald in Shanghai. On the 10th April 1917, it appeared in the Independence Belge. A week later a report of corpse factories was published in The Times: "We have known for long that the Germans stripped their dead behind the firing line, fastened them into bundles of three or four bodies with iron wire, and then dispatched these grisly bundles to the rear... the chief factory of which has been constructed 1,000 yards from the railway connecting St Vith, near the Belgian frontier, with Gerolstein, in the lonely, little-frequented Eifel district, south-west of Coblenz. The factory deals specially with the dead from the West Front. If the results are as good as the company hopes, another will be established to deal with corpses on the East Front... The trains arrive full of bare bodies, which are unloaded by the workers who live at the works. The men wear oilskin overalls and masks with mica eyepieces. They are equipped with long hooked poles, and push the bundles of bodies to an endless chain, which picks them with big hooks, attached at intervals of two feet. The bodies are transported on this endless chain into a long, narrow compartment, where they pass through a bath which disinfects them. They then go through a drying chamber, and finally are automatically carried into a digester or great cauldron, in which they are dropped by an apparatus which detaches them from the chain. In the digester they remain for six to eight hours, and are treated by steam, which breaks them up while they are slowly stirred by machinery." It was later discovered that the story was planted in the newspapers by Brigadier-General John Charteris, the Chief Intelligence Officer at GHQ. According to the New York Times he later admitted: "One day there came to the desk of General Charteris a mass of material taken from German prisoners and dead soldiers. In it were two pictures, one showing a train taking dead horses to the rear so that fat and other things needed for fertiliser and munitions might be obtained from them, and the other showing a train taking dead Germans to the rear for burial. On the picture showing the horses was the word cadaver ... General Charteris had the caption telling of cadaver being sent back to the fat factory transposed to the picture showing the German dead, and had the photograph sent to a Chinese newspaper in Shanghai." On 20th April, 1917, The Times published an interview with a soldier who had talked to a German who had worked in one of the corpse factories. The soldier claimed: "One of them who spoke English told me - mind, I don't know that it's true, but he told me - that even when they're dead their work isn't done. They are wired together in batches then, and boiled down in factories as a business, to make fat for munition making and to feed pigs and poultry, and God knows what else besides. Then other folk eat the pigs and poultry, so you may say it's cannibalism, isn't it? This fellow told me Fritz calls his margarine corpse fat, because they suspect that's what it comes from." Questions about the story were asked in Parliament on 30th April, 1917. John Dillon, the MP for County Tipperary, commented: "Has their attention (the government) to the fact that it is not only a gross scandal, but a very great evil to this country to allow the circulation of such statements, authorised by Ministers of the Crown, if they are, as I believe them to be, absolutely false?" Lord Robert Cecil, the Under Secretary for Foreign Affairs, replied for the government: "In view of other actions by German military authorities there is nothing incredible in the present charge against them... I confess I am not able to attach very great importance to any statements made by the German government." Robert Leonard Outhwaite, the Liberal Party MP for Hanley, raised another issue arising out of this story: "May I ask if the Noble Lord is aware that the circulation of these reports has caused anxiety and misery to British people who have lost their sons on the battlefield, and who think that their bodies may be put to this purpose, and does not that give a reason why he should try to find out the truth of what is happening in Germany?" On 11th May, 1917, the German Foreign Secretary, Arthur Zimmerman, told the Reichstag: "No reasonable person among our enemies can have been in any uncertainty about the fact that this has to do with the bodies of animals and not of human beings. The fact that the word cadavre in French is used for human beings and animals has been exploited by our enemies. We have rectified this subtle misunderstanding, which, against its better knowledge, has been used by the enemy press to mislead public opinion. In neutral countries, in so far as there is a tangible slanderous intention, criminal proceedings will be taken." The British public continued to believe the German corpse factory story. However, in 1924, Bertrand Russell argued in an essay on propaganda, Those Eventful Years, that the story was released in China when the nation's participation in the First World War was required: "Worldwide publicity was given to the statement that the Germans boiled down human corpses in order to extract from them gelatine and other useful substances... The story was set going cynically by one of the employees in the British propaganda department." The following year Brigadier-General John Charteris admitted that he invented the story when he was visiting New York City. It was reported in the New York Times that he gave a speech at a private dinner function at the National Arts Club. He admitted that he had provided false information to government ministers when they were asked questions about it in the House of Commons. Charteris went onto say: "The matter might have gone even further, for an ingenious person in his office offered to write a diary of a German soldier, telling of his transfer from the front after two years of fighting to an easy berth in a factory, and of his horror at finding that he was to assist there in boiling down his brother soldiers. He obtained a transfer to the front and was killed. It was planned to place this forged diary in the clothing of a dead German soldier and have it discovered by a war correspondent who had a passion for German diaries. General Charteris decided that the deception had gone far enough and that there might be an error in the diary which would have led to the exposure of the falsity." The speech was reported in London and Charteris was forced to issue a statement: "I feel it, therefore, necessary to give again a categorical denial to the statement attributed to me. Certain suggestions and speculations as regards the origin of the Kadaver story which have already been published in Those Eventful Years and elsewhere, which I repeated, are, doubtless unintentionally, but nevertheless unfortunately, turned into definite statements of fact and attributed to me. Lest there should still be any doubt, let me say that I neither invented the Kadaver story, nor did I alter the captions in any photograph, nor did I use any faked material for propaganda purposes. The allegations that I did so are not only incorrect, but absurd." The Times responded on 4th November, 1925: "This paper makes the significant observation that in the course of his denial he offered no comment on his reported admission that he avoided telling the truth when questioned about the matter in the House of Commons, or on his own description of a scheme to support the Corpse Factory story by planting a forged diary in the clothing of a dead German prisoner - a proposal which he only abandoned lest the deception might be discovered." Richmond Times-Dispatch reported on 6th December: "A few years ago the story of how the Kaiser was reducing human corpses to fat aroused the citizens of this and other enlightened nations to a fury of hatred. Normally sane men doubled their fists and rushed off to the nearest recruiting sergeant. Now they are being told, in effect, that they were dupes and fools; that their own officers deliberately goaded them to the desired boiling-point, using an infamous lie to arouse them... In the next war, the propaganda must be more subtle and clever than the best the World War produced. These frank admissions of wholesale lying on the part of trusted Governments in the last war will not soon be forgotten." Quite a pleasant dinner. We discussed the rumour that the Germans utilise even their corpses by converting them into glycerine with the by-product of soap. I suggested that Haldane should offer his vast body as raw material to Lloyd George. We played poker after dinner. I played in a syndicate with Papa (Herbert Asquith), which is always unsatisfactory. The syndicate lost about a pound. The legend of the German corpse rendering factory remains the most notorious atrocity myth of the conflict, and fully deserves its appraisal by George Viereck as "the master hoax" of the First World War. Indeed the story proved so durable that it would not finally be exposed as a fiction until 1925. 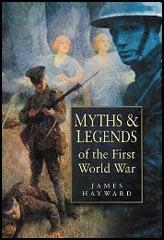 The central premise of this ghoulish tale, first circulated in its popular form in April 1917, was that close behind their front line the Germans had established a facility for boiling down the corpses of dead soldiers, the by-products being used in the production of munitions, soap, fertiliser and pig food. For the Allied propaganda machine, the story played as a near-perfect conjunction of German science and Hunnish barbarity. Today, credit for the deliberate creation of the myth is usually given to British intelligence agencies, and in particular the omnipresent General Charteris. We have known for long that the Germans stripped their dead behind the firing line, fastened them into bundles of three or four bodies with iron wire, and then dispatched these grisly bundles to the rear. Until recently the trains laden with the dead were sent to Seraing, near Liege, and to a point north of Brussels, where there were refuse consumers. Much surprise was caused by the fact that of late this traffic has proceeded in the direction of Gerolstein, and it is noted that on each wagon was written DAVG. German science is responsible for the ghoulish idea of the formation of the German Offal Utilization Company Limited (DAVG), a dividend-earning company with a capital of £250,000, the chief factory of which has been constructed 1,000 yards from the railway connecting St Vith, near the Belgian frontier, with Gerolstein, in the lonely, little-frequented Eifel district, south-west of Coblenz. The factory deals specially with the dead from the West Front. If the results are as good as the company hopes, another will be established to deal with corpses on the East Front. The factory is invisible from the railway. It is placed deep in forest country, with a specially thick growth of trees about it. Live wires surround it. A special double track leads up to it. The works are about 700 feet long and ll0 feet broad, and the railway runs completely round them. In the north-west corner of the works the discharge of the trains takes place. The trains arrive full of bare bodies, which are unloaded by the workers who live at the works. The men wear oilskin overalls and masks with mica eyepieces. They are equipped with long hooked poles, and push the bundles of bodies to an endless chain, which picks them with big hooks, attached at intervals of two feet. The bodies are transported on this endless chain into a long, narrow compartment, where they pass through a bath which disinfects them. They then go through a drying chamber, and finally are automatically carried into a digester or great cauldron, in which they are dropped by an apparatus which detaches them from the chain. In the digester they remain for six to eight hours, and are treated by steam, which breaks them up while they are slowly stirred by machinery. From this treatment result several products. The fats are broken up into stearine, a form of tallow, and oils, which require to be re-distilled before they can be used. The process of distillation is carried out by boiling the oil with carbonate of soda, and some part of the by-products resulting from this is used by German soap makers. The oil distillery and refinery lie in the south-eastern corner of the works. The refined oil is sent out in small casks like those used for petroleum, and is of a yellowish brown colour. The fumes are exhausted from the buildings by electric fans, and are sucked through a great pipe to the north-eastern corner, where they are condensed and the refuse resulting is discharged into a sewer. There is no high chimney, as the boiler furnaces are supplied with air by electric fans. There is a laboratory and in charge of the works is a chief chemist with two assistants and 78 men. All the employees are soldiers and are attached to the 8th Army Corps. There is a sanatorium by the works, and under no pretext is any man permitted to leave them. They are guarded as prisoners at their appalling work. Among the stories told by men who have come from the front is the following, which affords unexpected confirmation of the account of the Corpse Utilization Company's enterprise. The soldier who tells the story is Sergeant B of the Kents. Describing the prisoners taken in the recent fighting, he said: "One of them who spoke English told me - mind, I don't know that it's true, but he told me - that even when they're dead their work isn't done. They are wired together in batches then, and boiled down in factories as a business, to make fat for munition making and to feed pigs and poultry, and God knows what else besides. Then other folk eat the pigs and poultry, so you may say it's cannibalism, isn't it? This fellow told me Fritz calls his margarine `corpse fat', because they suspect that's what it comes from." Among the prisoners captured in the recent fighting was a German army doctor, who seems to have talked very interestingly on the subject of the conversion of corpses... saying that it was an entirely natural thing to do to convert human bodies, but, of course, not horses, as these were too valuable for food purposes. Horses' bones only might be used. He was of the opinion that probably the censors did not permit the German people to know too much about it. The doctor was quite serious, and took a merely scientific and utilitarian view of it. No reasonable person among our enemies can have been in any uncertainty about the fact that this has to do with the bodies of animals and not of human beings. The fact that the word "cadavre" in French is used for human beings and animals has been exploited by our enemies. We have rectified this subtle misunderstanding, which, against its better knowledge, has been used by the enemy press to mislead public opinion. In neutral countries, in so far as there is a tangible slanderous intention, criminal proceedings will be taken. The controversy raged until all England thought it must be true, and the German newspapers printed indignant denials. The matter came up in the House of Commons and an interrogation was made which was referred to General Charteris, who answered that from what he knew of the German mentality, he was prepared for anything. It was the only time, he said, during the war when he actually dodged the truth. 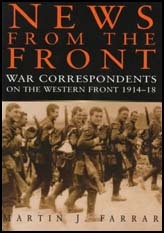 The matter might have gone even further, for an ingenious person in his office offered to write a diary of a German soldier, telling of his transfer from the front after two years of fighting to an easy berth in a factory, and of his horror at finding that he was to assist there in boiling down his brother soldiers. He obtained a transfer to the front and was killed. It was planned to place this forged diary in the clothing of a dead German soldier and have it discovered by a war correspondent who had a passion for German diaries. General Charteris decided that the deception had gone far enough and that there might be an error in the diary which would have led to the exposure of the falsity. Such a result would have imperiled all the British propaganda, he said, and he did not think it worth while, but the diary is now in the war museum in London. On arrival in Scotland I was surprised to find that, in spite of the repudiation issued by me at New York through Reuter's Agency, some public interest was still excited in the entirely incorrect report of my remarks at a private dinner in New York. I feel it, therefore, necessary to give again a categorical denial to the statement attributed to me. Certain suggestions and speculations as regards the origin of the Kadaver story which have already been published in Those Eventful Years and elsewhere, which I repeated, are, doubtless unintentionally, but nevertheless unfortunately, turned into definite statements of fact and attributed to me.Lest there should still be any doubt, let me say that I neither invented the Kadaver story, nor did I alter the captions in any photograph, nor did I use any faked material for propaganda purposes. The allegations that I did so are not only incorrect, but absurd; as propaganda was in no way under GHQ France, where I had charge of the intelligence services. I should be as interested as the general public to know what was the true origin of the Kadaver story. GHQ France only came in when the fictitious diary supporting the Kadaver story was submitted. When this diary was discovered to be fictitious it was at once rejected. I have seen the Secretary of State for War this morning, and have explained the whole circumstances to him, and have his authority to say that he is perfectly satisfied. This paper makes the significant observation that in the course of his denial he offered no comment on his reported admission that he avoided telling the truth when questioned about the matter in the House of Commons, or on his own description of a scheme to support the Corpse Factory story by `planting' a forged diary in the clothing of a dead German prisoner - a proposal which he only abandoned lest the deception might be discovered. A few years ago the story of how the Kaiser was reducing human corpses to fat aroused the citizens of this and other enlightened nations to a fury of hatred. Normally sane men doubled their fists and rushed off to the nearest recruiting sergeant. Now they are being told, in effect, that they were dupes and fools; that their own officers deliberately goaded them to the desired boiling-point, using an infamous lie to arouse them, just as a grown bully whispers to one little boy that another little boy said he could lick him. The encouraging sign found in this revolting admission of how modern war is waged is the natural inference that the modern man is not over-eager to throw himself at his brother's throat at the simple word of command. His passions must be played upon, so the propaganda bureau has taken its place as one of the chief weapons. In the next war, the propaganda must be more subtle and clever than the best the World War produced. These frank admissions of wholesale lying on the part of trusted Governments in the last war will not soon be forgotten. Of all this kind of swordsmanship the most dashing feat was the circulation of the `corpse factory' story. German troops, it was written in part of our Press, had got, in certain places near their front, a proper plant for boiling down the fat of their own dead. It was not said whether the product was to be used as a food, or as a lubricant or illuminant only. Chance brought me into one of the reputed seats of this refinement of frugality. It was on ground that our troops had just taken, in 1918. At Bellicourt the St Quentin Canal goes into a long tunnel. Some little way in from its mouth you could find, with a flash-lamp, a small doorway cut in the tunnel's brick wall, on the tow-path side of the canal. The doorway led to the foot of a narrow staircase that wound up through the earth till it came to an end in a room about 20 feet long. It, too, was subterranean, but now its darkness was pierced by one sharp-edged shaft of sunlight let in through a neat round hole cut in the five or six feet of earth above. Loaves, bits of meat, and articles of German equipment lay scattered about, and two big dixies or cauldrons, like those in which we stewed our tea, hung over two heaps of cold charcoal. Eight or ten bodies, lying pell-mell, nearly covered half the floor. They showed the usual effects of shell-fire. Another body, disembowelled and blown almost to rags, lay across one of the dixies and mixed with a puddle of coffee that it contained. A quite simple case. Shells had gone into cook-houses of ours, long before then, and had messed up the cooks with the stew. An Australian sergeant, off duty and poking about, like a good Australian, for something to see, had come up the stairs too. He had heard the great fat-boiling yarn, and how this was the latest seat of the industry. Sadly he surveyed the disappointing scene. Ruefully he noted the hopelessly normal nature of all the proceedings that had produced it. Then he broke the silence in which we had made our several inspections. "Can't believe a word you read, sir, can you?" he said with some bitterness. Life had failed to yield one of its advertised marvels. The press had lied again. The propagandist myth about Germans had cracked up once more. `Can't believe a word you read' had long been becoming a kind of catchphrase in the army. And now another good man had been duly confirmed in the faith, that whatever your pastors and masters tell you had best be assumed to be just a bellyfull of east wind. According to Independance Belge it had long been known that the Germans stripped their dead behind the firing line, tied the bodies into bundles of three or four and then sent them in wagons to the rear. Latterly they had been consigned to a new factory near St Vith, close to the Belgian frontier. If the results were good, it was proposed to set up another factory for corpses from the Eastern Front. The company conducting the operation was the German Offal Utilisation Company (Deutsche Abfall Verwertungs Gesellschaft) with a capital of £250,000. The Department of Information did not circulate the story. Its Director, C. F. G. Masterman, was attacked for not doing so, but he and his staff found much of the published information unsatisfactory; in later life he prided himself on having left the rumour alone. Doubts must have been gathering in Fleet Street, for the story was soon abandoned. In any event the lie by now had "time on its own wings to fly". In Disenchantment C. E. Montague says that in 1918 chance took him to a chamber of horrors in a subterranean room near Bellicourt. Two big dixies, or cauldrons, lay amid a shambles of bodies and parts of bodies. The explanation was simple: a shell had landed on a cookhouse, not a rare happening. An Australian sergeant who had heard that this was the scene of corpse boiling said, with some bitterness, "Can't believe a word you read, can you?" Little more might have been heard of the story had not Brigadier-General John Charteris delivered an unfortunate speech at a dinner of the National Arts Club in New York in October 1925. He was reported as saying that the story began as propaganda for use in China. Two photographs had been found on a German prisoner, one showing a trainload of wounded soldiers, another a trainload of dead horses labelled Kadaver. By switching the captions, a mischievously false impression was given, and the result was sent off to a newspaper in Shanghai. When the report of his speech raised a stir General Charteris hastened to deny what he called a wholly inaccurate report of a speech at a private dinner. He had not transposed any picture captions and would be as interested as the general public to know the true origin of the story. General Headquarters in France, where he served as head of Intelligence services, had come into the matter only when a diary faked to give substance to the story had been submitted for planting on a dead German, but the idea was rejected. The General maintained his innocence in an interview with the Secretary for War.